Salvo’s has kept thousands of foodies coming back for more since their opening in 1976. 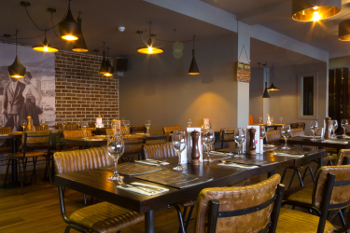 Following a £250,000 refurbishment the new look restaurant, menu and dedicated bar area has refreshed the much loved Headingley Italian. Celebrating its 40th year the restaurant has been the only one listed consistently in The Good Food Guide since 1985 and holds an AA Rosette amongst a collection of national accolades. Having visited Salvo’s a couple of years previous, with a lasting memory of it’s fantastic atmosphere and comforting food we were looking forward to our return. Visiting on an early Sunday evening the restaurant was already full with a variety of diners from families, groups of friends and couples. Atmosphere as remembered and already feeling immediately relaxed. Expecting only a few of the dishes to have changed with the new restaurant re-vamp this wasn’t the case. Andrea the restaurant manager explained the new additions which covered around 75% of the menu, with most being available gluten free, but with a few old favourites that they’re famous for still firmly in place. Prosecco in hand we were struggling with what to choose with so much choice on their main menu and specials menu. After ordering we looked at each other with a feeling of disappointment in ourselves for not adding on the garlic bread. We justified it as being a must to sample their pizzas and swallowed our greed. Oh and it was so worth it, even if we were too full to finish each course thereafter. 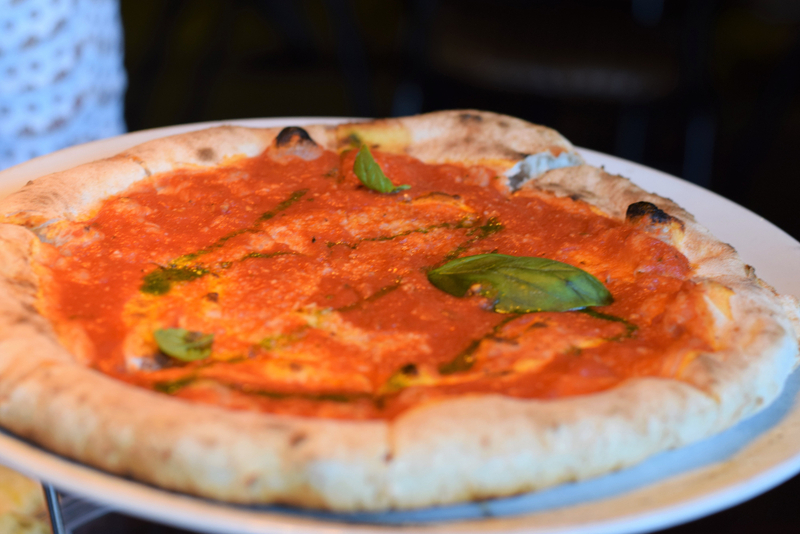 Chewy crust, delicious tomato base with the perfect amount of garlic, fresh basil leaves and drizzles of pesto. 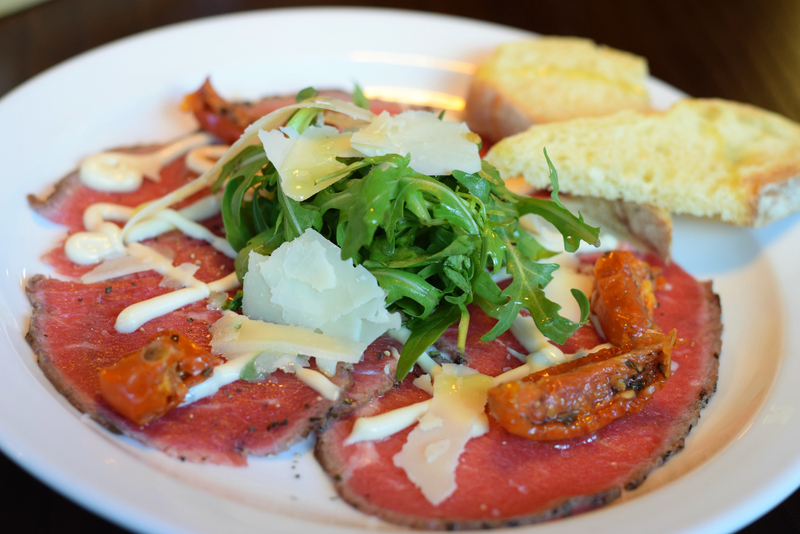 I chose one of their new starters beef carpaccio, with a mustardy ‘Harry’s bar’ dressing, rocket and parmesan. This was deliciously light with each ingredient as best friends. 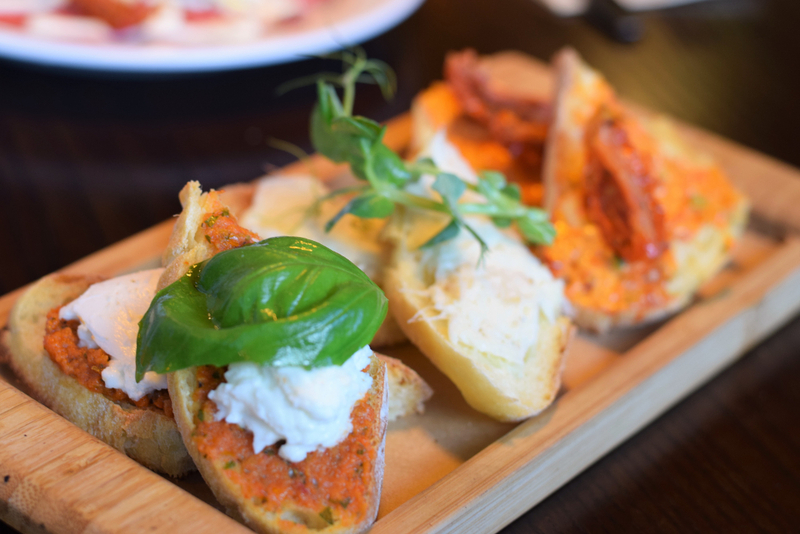 Across the table, a trio of bruschetta to showcase some fantastic Italian staples, mascarpone and nduja, salsa rossa and mozzarella and whipped salt cod. 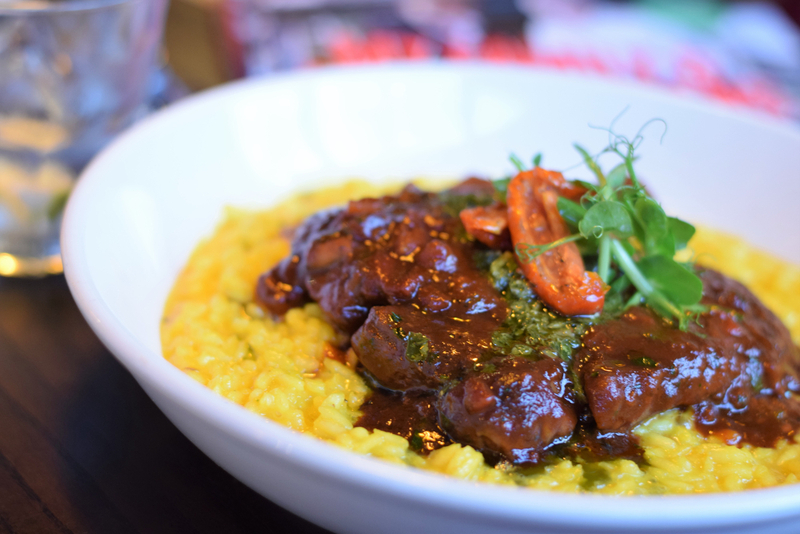 Again new to the menu, a nod to Northern Italy with ‘Osso Buco – braised veal shin, risotto milanese and fresh horseradish gremolata’. Wow. The veal melt in the mouth, the risotto el dente and beautifully yellow from the saffron. After swapping to try my partner’s choice from the specials menu, I started to regret the garlic bread greed. 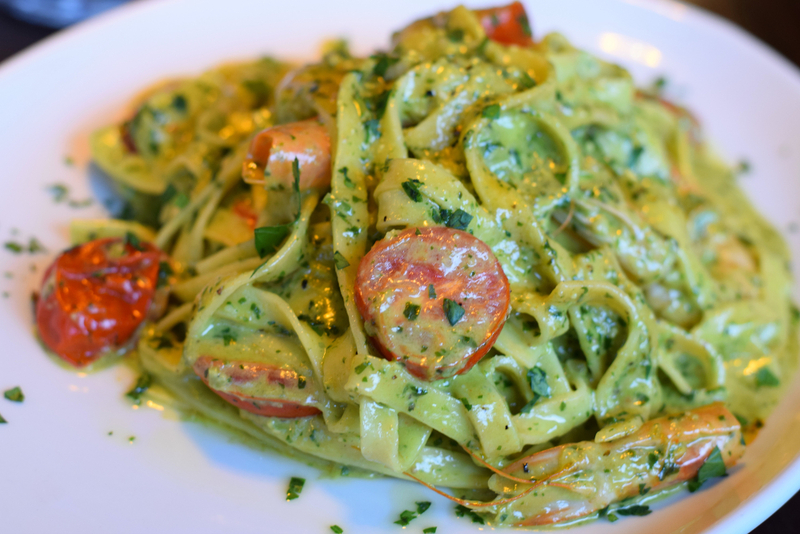 Tagliolini with lots of freshly chopped basil, pesto, roasted tomatoes and juicy king prawns. Too good to waste any of this. Both dishes absolutely delicious. What a way to spend a Sunday indulging in fantastic surroundings with such comforting and tasty food. 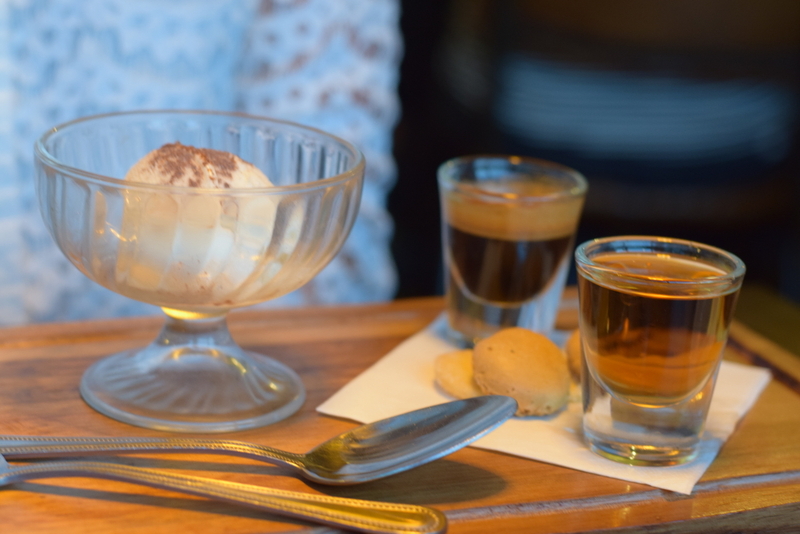 Learning from my mistakes I went for the classic ‘Affogato’ a scoop of vanilla gelato and amaretti biscuits, drowned in a shot of hot espresso. 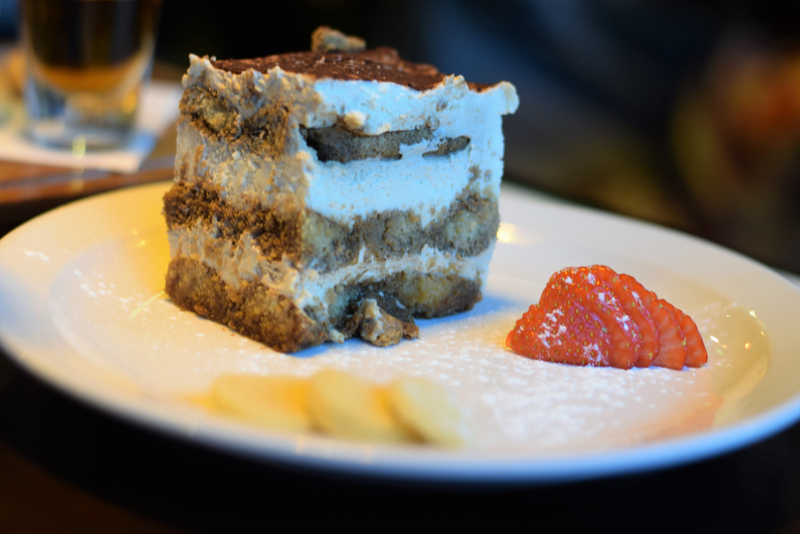 My partner on the other hand was presented with a generous portion of their heavenly homemade tiramisu. We can see why Salvo’s has been a firm favourite for so long. From their comfortable surroundings that I imagine nearly everyone feels immediately relaxed in, great ‘hustle and bustle’, friendly and attentive service, plus feeling that you’ve had a good feed that is both quantity and quality. Book online at www.salvos.co.uk or call 0113 275 5017. To keep up to date with the latest news, reviews, offers and competitions – sign up to our newsletter. View our recommend Leeds restaurants and foodie events.